For ArcGIS Pro 2.2, the Scene Layers Team was tasked with overhauling the elevation surface functionality. While this story is not finished, we have made significant changes to how elevation surfaces are handled in ArcGIS Pro. This blog will highlight this new functionality. Elevation surfaces are no longer hidden in the scene properties. They have been removed from the scene properties and added to the contents pane. All the same functionality available in the scene properties are available via the ribbon for the elevation surface. 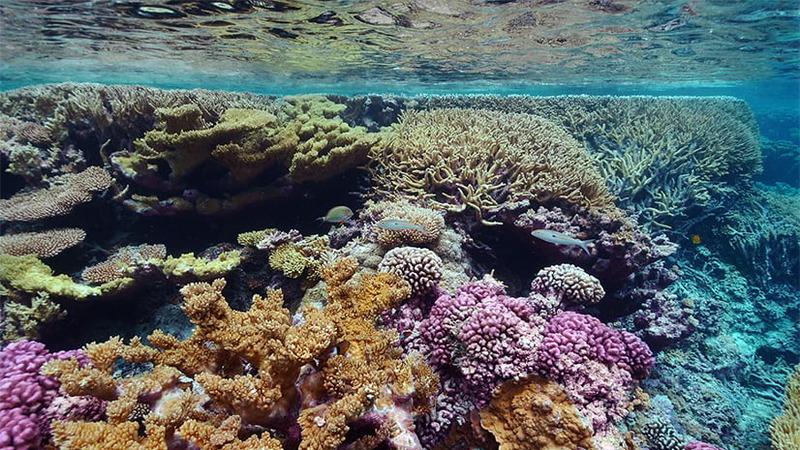 A scene always has at least one elevation surface, which represents the ground. You cannot remove the ground surface, but you can replace or remove its elevation source. Both surfaces and sources can be added in the contents pane. Each surface has it’s own contextual ribbon and each source has properties that can be accessed such as data source information and spatial reference information. You can have one surface with many sources or multiple surfaces with one source or multiple surfaces with many sources. This provides as much flexibility as you need to set up your scene properly. New sources can be added to the ground surface via Add data > Add Elevation Source. 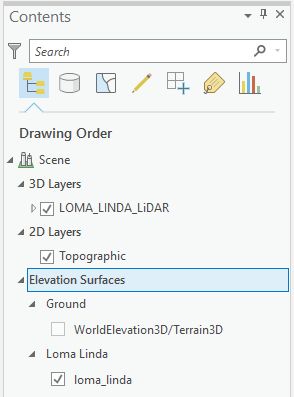 If you want to add an elevation source to a custom surface then you can right click on the elevation surface > Add Elevation Source. Supported sources include raster datasets, tin datasets, elevation layers, and imagery layers from Portal for ArcGIS or ArcGIS Online. Properties that were formerly part of the scene properties are now on the ribbon for the elevation surface. These properties include: vertical exaggeration, surface color, shade relative to light position, apply flat shading for tin data, and navigate underground for the ground surface. No longer are the manage tile cache and export tile cache tools necessary to create a web elevation layer for Portal for ArcGIS or ArcGIS Online. 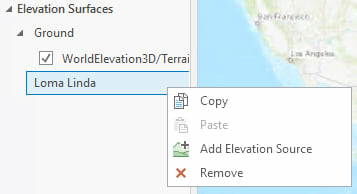 Now you can right click on the individual elevation source and select share as web elevation layer. The sharing pane provides additional options such as referencing registered data or copying all data to the server. Additional caching and LERC options exist for further configurations. For more information see Web Elevation Layer. Note: The web scene specification currently only supports the ground surface. We will continue enhancing the elevation surface story in the coming releases. Please continue to add ideas or submit enhancement requests for functionality that you are looking for! For more information see the elevation surfaces help documentation.